Sleeping Lion is the name of the clubs formed by Carl Bateman dedicated to teaching the Traditional 97 Step Sun Family Form of Tai Chi Chuan . 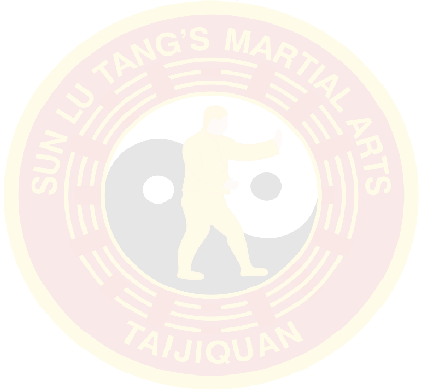 Carl is approved as an Instructor in the Sun form by David Martin, and also as an advanced instructor with the Tai Chi Union of Great Britain. He started studying Tai Chi Chuan thirty years ago in the Yang Long Form, and for twelve years he trained in the Lee family style. He is also a past holder of a first dan in Tae Kwon Do, certified by Hee Il Cho, and has also trained in Ju Jitsu. The Sun form is very suitable for people with a wide range of health issues. The stepping techniques, continuous movement, higher stances and breathing techniques so characteristic of the Sun Form, mean that training this form of Tai Chi Chuan is not only possible but most enjoyable. Carl was invited to China by David and Su Ying Martin, where he was privileged to be introduced to and train with several of David’s Tai Chi brothers. He has made four trips to China with his wife, Dorothy, and has also trained in Germany with Zhang Zhen-hua and Dirk Lehman. Dave has informed Carl that he is to be a student of Master Zhang Zhen Hua. Dave has now retired from an active role in Sun Style, Carl also has undertaken training with Per Nyfelt of Stockholm, who was the first European to be inducted into the Sun Family; Dave Martin being the third. We are pleased that we can offer training in Classes, Private Tuition, and Corporate Training to suit your circumstances. Also we would be interested in hearing from anyone, having completed a short Sun form, wishing to extend their experience to study the full Traditional Sun 97 Step form.